Sociopaths and narcissists can be mothers, fathers, grandparents, relatives…. 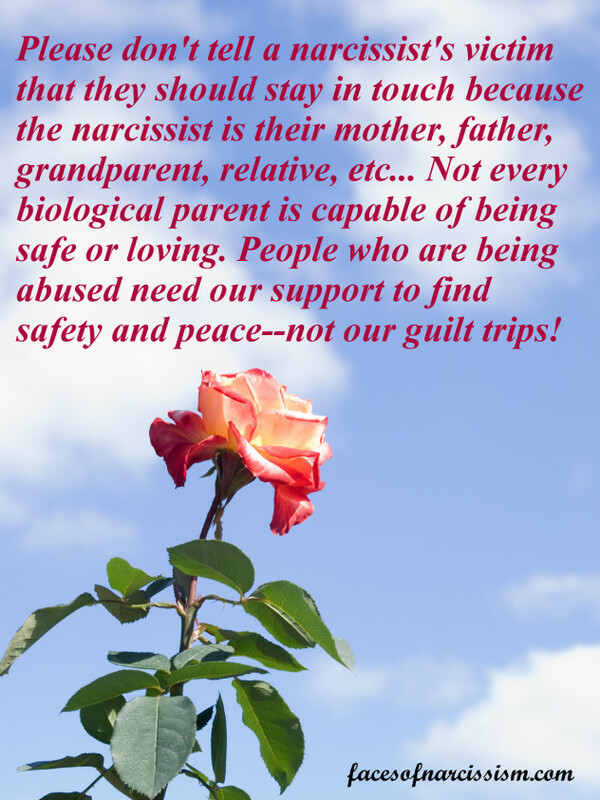 Be careful about telling a narcissist’s victim that they have to stay in touch because the narcissist is their mother, father, grandparent, relative, etc… Not every biological parent is capable of being safe or loving. People who are being abused need our support to find safety and peace–not our guilt trips! A predator doesn’t look like a predator. They blend in with the normal people.